As we recently mentioned, PossibleNOW has always helped companies maintain compliance in the face of changing regulations. Contacting consumers has become a delicate dance of respecting privacy while obtaining consent. 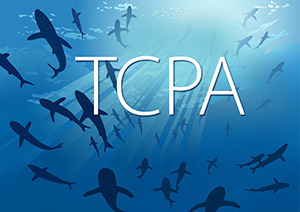 The Telephone Consumer Protection Act (TCPA), first enacted in 1991, was a groundbreaking move to limit unsolicited, often automated, telemarketing calls. The act was amended in 2013 and continues to addresses loopholes with modifications. Today marketers must obtain prior express written consent from a consumer before delivering a call or text message that uses an automated dialing system. The TCPA allows for actual damages or statutory damages ranging from $500 to $1,500 per unsolicited call or text message. One unintended result of the TCPA has been the uprising of a cottage industry of plaintiffs who find opportunities to bring lawsuits – both individual and class action – against marketers and debt collectors. PossibleNOW maintains a database with the phone numbers of known plaintiffs to help marketers mitigate compliance risk in TCPA and Fair Debt Collections Practices Act-related communications. We’re able to offer a litigator list, comprised of public records, that identifies the phone numbers of plaintiffs and attorneys who have filed class action lawsuits against telemarketers, collection agencies or credit issuers, sometimes to take advantage of the TCPA’s damage scheme (which does not require proof of actual damage). Offering this database with the phone numbers of known plantiffs in conjunction with our leading cloud-based do-not-contact application, DNCSolution, helps marketers ensure compliance with current consumer privacy legislation while protecting their organization from potentially damaging lawsuits. Because the database research is focused exclusively on lawsuits that might impact telemarketers, call centers and debt collectors, marketers avoid over-suppressing the number of prospects for a calling or texting campaign. Do the limitations of TCPA make you nervous? We’ve been there, done that. Let us lend a hand.